The Trinimac Style Motif is being released with Update 9 (Thieves Guild) in March 2016. 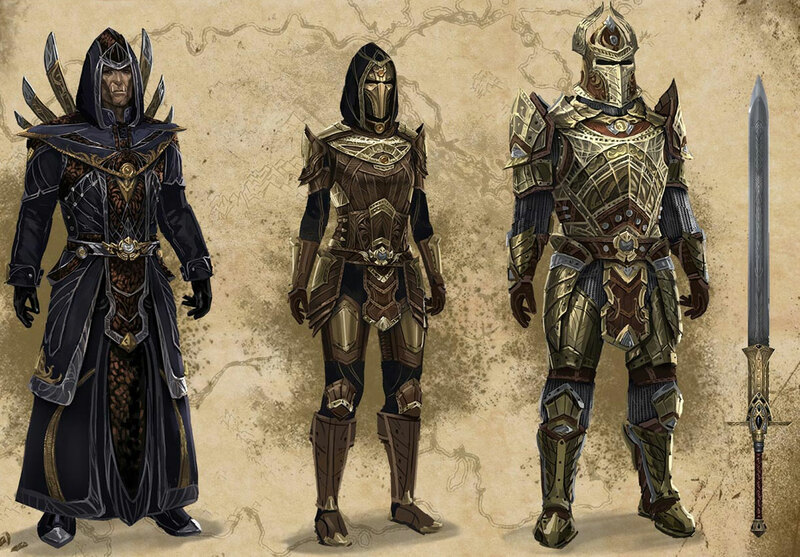 The Trinimac Style Motif is obtained through Orsinium Daily Delve quest rewards. This Motif will come to the Crown Store in the future as well. The style item is Auric Tusk. I think I prefer the Malacath style overall, though this has some good looking individual pieces. The medium armor in particular reminds me of some of the older WoW paladin sets from the 1.x and 2.x days. Just needs a cloak.